One child is holding something that’s been banned in America to protect them. 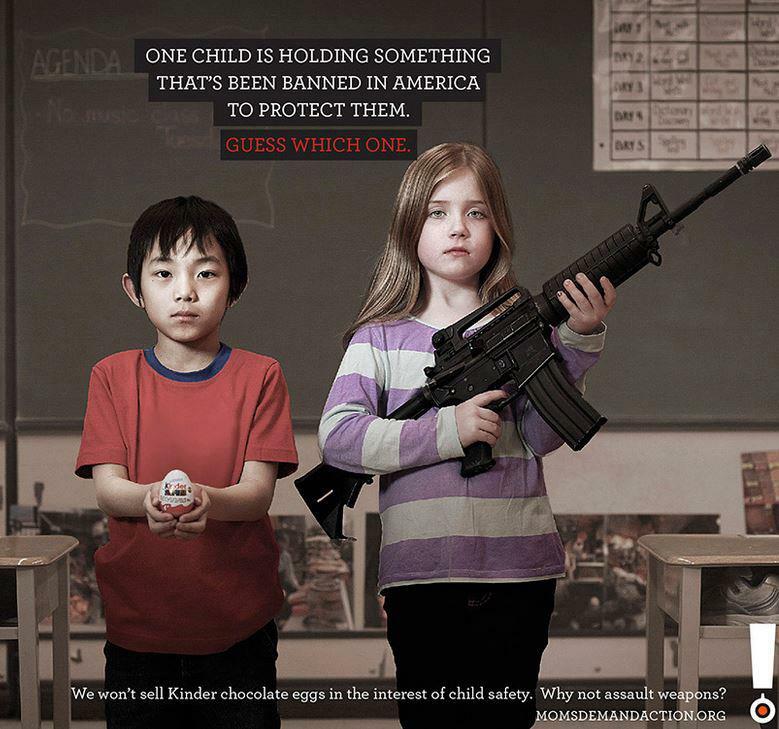 We won’t sell Kinder chocolate eggs in the interest of child safety. Why not assault weapons? This entry was posted in Creative Ads and tagged assault weapons control ad on April 19, 2013 by Dan C.